Certification means knowing you’re getting the best. As a Mercedes-Benz customer, you can be rest assured that all mechanical and electrical components of our vehicles go through a stringent 150-point inspection. The vehicle is examined inside and out—and under followed by a demanding road test. If deficiencies are found at any time during the process, they are repaired, replaced or reconditioned using only genuine Mercedes-Benz parts. Tested by one of our fully trained technicians, a Mercedes-Benz Certified Pre-owned vehicle is only approved and qualifies for the Mercedes-Benz Star Certified Warranty if and when it meets mandatory inspection standards. How your Mercedes-Benz achieves Certified status. As a result, when any Mercedes-Benz vehicle receives certification, you can be sure it either meets or exceeds the requirements for quality, reliability, performance and safety. Maintaining the value of your Certified Pre-Owned Mercedes-Benz is our commitment. At Mercedes-Benz, any coverage left on your vehicle’s original factory warranty of 4 years or 80,000 km  remains in effect throughout its original term. Afterwards, the standard Mercedes-Benz Star Certified Pre-Owned Warranty term provides protection for up to another 2 years or a total of 120,000 accumulated kilometres. It is included on every qualified Certified Pre-Owned vehicle and covers the powertrain and other major components. If you wish to extend your warranty, you can purchase our Extended Limited Warranty which offers the same secure coverage but for an additional term. That means your Mercedes-Benz Certified Pre-Owned vehicle is covered for up to an additional three-year term after the original warranty expires or 160,000 total vehicle kilometers, whichever comes first . But what’s impressive about this Extended Limited Warranty as well as our Star Certified Warranty is that the total available coverage is longer than most new car warranties; maintaining our commitment to being competitive. Not to mention, Mercedes-Benz Durham honour these selections coast to coast . That way, you can enjoy the added peace of mind in knowing these benefits are available whenever, but more importantly, wherever you need it. Whichever occurs first. See Mercedes-Benz Durham for details and a copy of the Mercedes-Benz Star Certified Pre-Owned Limited Warranty and Extended Limited Warranty. Star Certified Pre-Owned Limited Warranty and/or Extended Limited Warranty (if purchased) coverage will begin on the first to occur of (a) 48 months from the new vehicle delivery/warranty start date or (b) when the vehicle reaches 80,000 total accumulated kilometres (if the vehicle reaches 80,000 total accumulated kilometres prior to the expiration of 48 months from the new vehicle delivery/warranty start date, the warranty coverage will begin with the repair order date of the first claim submitted over 80,000 kilometres). Repairs covered by the Mercedes-Benz Star Certified Pre-Owned Limited Warranty are subject to a $50 service charge per repair visit. Powertrain warranty provided during months 25 through 36. Some terms and conditions may apply. See your Mercedes-Benz dealer for full details on Mercedes-Benz Extended Limited Warranties. We don’t leave you guessing. You can feel confident in knowing that we provide the driving history with any Certified Pre-Owned vehicle. We know our customers value transparency and that’s exactly what we provide. We offer a complete purchase history to ensure your vehicle has no security interests (liens) against it; overcoming any liability concerns, as well as any type of incidents that occurred and any previous damage. Lastly, the province registration and branding details are specified to confirm the vehicle wasn’t stolen. The Result of a Mercedes-Benz Mindset. To us, your satisfaction with a Certified Pre-Owned vehicle is just as important as it would be with a new Mercedes-Benz model. To give you the peace of mind you deserve with our Certified Pre-Owned vehicles we offer a 5 day or 500km guarantee—whichever comes first. If your Certified Pre-Owned Mercedes-Benz vehicle is not to your complete satisfaction, a credit will be made towards the exchange of another vehicle of equal or greater value, depending on your dealer’s stock availability. Vehicle history may include (based on availability through a third party search) accident, collision, and damage detail, lien status, out of province registration, stolen vehicle check, branding disclosure. Vehicle history does not refer to vehicle service records. Whenever, wherever—you can depend on Mercedes-Benz. When you buy a Mercedes-Benz Certified Pre-Owned vehicle, you receive much more than a fine automobile. You also reap the benefits of nationwide customer service and technical support that every Mercedes-Benz owner enjoys. While feeling safe and being safe are two different things, it doesn’t have to be. With every Mercedes-Benz Certified Pre-Owned vehicle comes prompt 24/7 Roadside Assistance  so that you’re protected when faced with the unpredictable. This package is available for the life of the vehicle and covered for the duration of the warranty in Canada and the continental United States. Our roadside assistance experts are only a toll-free call away at 1-800-387-0100. We’ll change your tire, jump start your car and can be counted on to bring you fuel. In the event of a mechanical breakdown, a reliable towing service will be provided to the nearest Mercedes-Benz dealership so that you’re properly taken care of. If a warranty-covered breakdown occurs causing a trip interruption more than 80 km from your home and leaves your Mercedes-Benz vehicle inoperable or unsafe to drive, you will be reimbursed up to $500 for hotel accommodations and up to $600 for alternate transportation per incident while your car is being repaired at an authorized Mercedes-Benz dealership. Charges may apply. Vehicle must be accessible from main roads. Roadside Assistance may involve charges for parts, service or towing. Depending on the circumstances, these services may be provided by an outside service provider, courtesy of Mercedes-Benz Roadside Assistance. For full details of the Roadside Assistance Program, please see your local Mercedes-Benz dealer. A leader in luxury leasing, Mercedes-Benz Financial Services is the dedicated finance company of Mercedes-Benz Durham. We offer exceptional programs and services, specifically designed to meet your vehicle financing needs. which allows you to have a lower monthly payment than traditional financing with one lump-sum payment at the end of the contract term. – Mercedes-Benz Financial Services designed the First Class Lease to complement the finest family of vehicles in the world. We have committed our considerable expertise and experience to creating a straightforward and easy-to-understand lease that offers the most flexible terms for your personal financial needs. The First Class Lease adds an entirely new dimension to leasing, so you can drive and arrive in the style you prefer – First Class. Review the array of leasing terms and programs like flexible kilometrage and lease end options that are tailored to meet both your financial and your driving needs. – in addition to providing leasing and financing solutions, Mercedes-Benz Financial Services offers protection products such as First Class Lease Protection, First Class Guaranteed Auto Protection and First Class Tire and Rim Protection coverage that help keep your investment well-protected for added peace of mind. ** Not all protection products are available in all provinces, on all vehicles or at all dealers. Please contact Mercedes-Benz Durham for a full list of limitations. Why Buy Your Mercedes-Benz in Canada? You’re seriously thinking of buying a Mercedes-Benz product. Great, we’re delighted. Your next vehicle from Mercedes-Benz Durham will provide you a total ownership experience that perfectly compliments the expectations of Canadian drivers. The information provided below explains the many advantages of purchasing or leasing an equipped-for-Canada Mercedes-Benz, smart or AMG vehicle from Mercedes-Benz Durham. The Canadian market is different. Some vehicle types and engines such as the B-Class, C 350 4MATIC, E 300 4MATIC and S 550 4MATIC short wheel-base are unique to the Canadian market. When establishing equipment levels for the Canadian market, Mercedes-Benz Durham chooses standard features and equipment that are best suited to meet the challenge of Canada’s wide-ranging environmental and driving conditions in addition to the needs of Canadian customers. If you are comparing vehicles from other markets, like the United States, please bear in mind this critical component as in many cases, equipped-for-Canada cars are higher equipped than those in the U.S.A. Therefore, a simple Manufacturer Suggested Retail Price (MSRP)* comparison is inaccurate at best and only represents part of the entire picture. Other equipment and/or modifications specific to colder climates. Whether new or pre-owned, buying an equipped-for-Canada vehicle comes with added benefits. When customers purchase or lease an equipped-for-Canada Mercedes-Benz, smart, or AMG vehicle, they also benefit from the support and service that only Mercedes-Benz Durham and its authorized Mercedes-Benz/smart dealer network can provide. Mercedes-Benz Financial offers very attractive lease and finance rates in addition to loyalty programs. New vehicle promotions, programs, and incentives offered by Mercedes-Benz Durham and Mercedes-Benz Financial in Canada are only available on equipped-for-Canada Mercedes-Benz and smart vehicles purchased from an authorized Canadian Mercedes-Benz/smart dealer. A U.S. vehicle is entitled to the standard 4 years/80,000 km warranty, 8 years/130,000 km emission warranty and an adjustment period of 1 year/20,000 km, once the vehicle has been modified to meet Canadian specifications at an authorized Mercedes-Benz dealer in Canada. Requirements vary by model and may include the installation of day time running lights and changing instrumentation, gear shift selector and certain comfort features. This process can add up financially and take an extended time to complete. After modifications have been carried out, the vehicle must be inspected by a representative of Mercedes-Benz Durham for which a service fee of $500 applies. 2 years / 40,000 km wear & tear, covering brake pads, rotors as well as light bulbs. Full battery coverage up to 4 years / 80,000 km (U.S. vehicles are covered for 2 years / 40,000 km). Extended Limited Warranty or Star Certified / pre-owned warranties will not be issued by Mercedes-Benz Durham for U.S. vehicles. Free service pick-up and delivery for S-Class, SL-Class, CL-Class, and G-Class models from and to customer’s residence or office. Mercedes-Benz Durham provides vehicle owners with Mercedes-Benz Roadside Assistance, 24 hours, 365 days of the year, for four years. Goodwill consideration after the expiration of the new car warranty. Additionally, there are service implications regarding imported vehicles. The Canadian dealer organization is trained and equipped to service equipped-for-Canada vehicles. While the Canadian dealer organization provides warranty and other services for U.S. vehicles “visiting” Canada, the organization is not set up to provide such services for U.S. vehicles “resident” in Canada. For example, U.S. only parts in U.S. vehicles are not stocked in Canada. 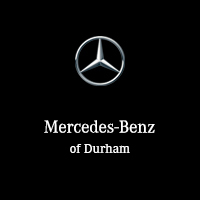 Mercedes-Benz Durham’s dealer network is solid, trustworthy and reliable. Our authorized retailers and service centres are guided by rigorous and exacting standards. Mercedes-Benz Durham works very closely with its dealers to ensure that customers have the highest level of confidence, trust and peace of mind when buying or leasing a Mercedes-Benz or smart product. For Mercedes-Benz Durham, a sale to a local customer is the beginning of a long-term, loyal relationship; for the customer, buying the car locally means a superior ownership experience. Customers are encouraged to buy their car where they intend to service it, as they will benefit from Mercedes-Benz Durhams’ expertise on Canadian-equipped cars and knowledge of Canadian support programs. While it is ultimately Mercedes-Benz Durham’s decision, there is no certainty that Mercedes-Benz Durham will accept U.S. vehicles as trade-ins. If Mercedes-Benz Durham refuses to take a U.S. import on trade, trade-in tax credit cannot be claimed on any subsequent purchase. Mercedes-Benz Durham’s programs and measures (vehicle specifications, equipment levels, options, residual values, warranties, goodwill, service conveniences, etc.) are based on the particularities of the Canadian market environment and have been designed specifically for the protection, comfort, and convenience of the Canadian customer. We trust that these points will convince you to buy Canadian. We encourage you to visit Mercedes-Benz Durham. A sales consultant will be happy to spend the necessary time to show you in more details the significant benefits of buying locally. Mercedes-Benz is dedicated to delivering the best ownership experience in the automotive luxury segment. * Dealers may sell for less. With a Certified Pre-Owned Mercedes-Benz, you can expect a 150-point certification-inspection, a standard Star Certified warranty up to 6 years or 120,000 km, a complete vehicle history report, 24-hour special roadside assistance, and a five day/500 km exchange privilege. Use our search tool to find your next pre-owned Mercedes-Benz, smart or Sprinter.